White, Kiersten. Paranormalcy. 335 p. HarperTeen. 2010. Hardcover $16.99. ISBN 9780061985843. I can't believe I missed this book when it first came out! Well, actually, I guess I can believe it... I mean-- the cover, guys. It's striking, but it's so super serious, and does not reflect the hilarious tongue-in-cheek tone of the book. I was not expecting to be amused by this book at all, but trust me, this is one of those times when you do not want to judge a book by its cover. This one is TOTALLY funny-- a refreshing change from the typical paranormal fiction. Brisk pacing, tight plotting, and a likable main character (okay, let's face it: I completely relate to Evie's pink-sparkly-loving ways and want to know where I can get a hot-pink taser!) make for a highly engaging read. White includes just about every paranormal creature there is, and gently mocks the stereotypes: My favorite: "Why on earth would a vampire go to high school?" (p. 239) Why indeed? I lol'd. There is depth and weight balanced with the humor, though, as White puts an inventive spin on the themes of self-discovery and claiming one's power that are so prevalent in YA lit. With a fantastic blend of action, romance, suspense, and humor, there's a little something for everyone here. I can't stop recommending it at my library-- I think I'm going to have to buy a few more copies for the shelves! The sequel, Supernaturally, just came out at the end of July, so now's the time to get started on this series. And be sure to catch our awesome interview with Kiersten White, along with Andrea Cremer and Stephanie Perkins, at Authors are ROCKSTARS! Great review. I'm so glad you told me about this series! I love White's writing, and she is super sweet as well. My only problem with books like this is the 2nd class treatment of paranormal creatures. In Evies case, her selective treatment. Lend is ok, but pretty everyone else is "bad." haha, I'm probably over thinking this!!! A lot of book reviews have actually embraced me offering advice from side to side face book or twitter remark on blogs. I be grateful for the community and I wish to help others endorse their books. I should add that there are a lot of great writers, narrator and manufacture firms that have actually support audio book bloggers. 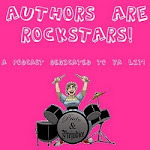 This blog present a good mix of acoustic book reviews, I like that it offers a lot of reviews. Individuals can also give their reviews about Custom Writing - UK Help Service curriculum; they are getting benefits and increase their shape via online learning organization.